Got some Pedrini's a while back and they're finally cleaned up and going to have tires mounted soon but I still don't have proper lug bolts. Been browsing on here and the samba occasionally but haven't caught any in time yet. Would like to get the complete set for $100 or less if at all possible. I have 4 or 5, i think.$7.00 ea. If you can't find a full set. 16 @ $100 or less is a tall order. Good luck. Hi...check out Rad USA Direct. I was just looking for these yesterday. Thank you to everyone who's given input. Mr Cabinetmaker I will keep that in mind, maybe a few more people will chime in with a couple pieces to get a complete set. $7 a pop isn't too bad, keeps it close to $100 total. 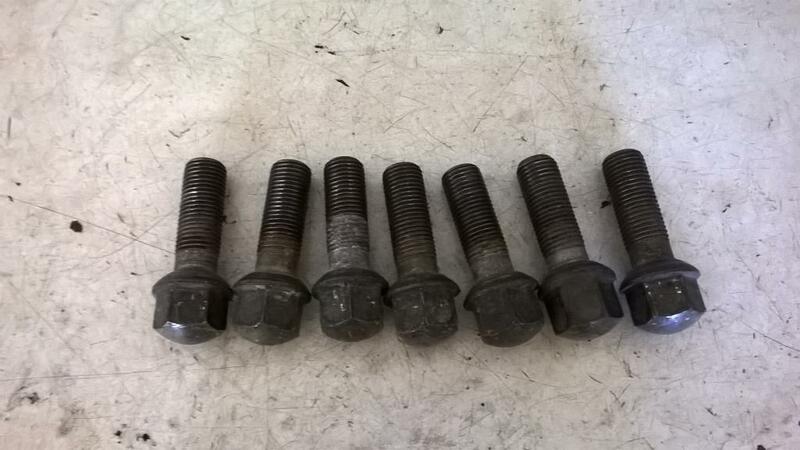 I just have a hard time spending $150-$200 for a set of used 45 year old bolts when $80-$90 can get me a set of high quality bolts that are only a mm shorter. Looks like I'm up to about 12 so I sent out PM's to get those that have offered so far. Try Garold Shaffer on this site. I'm sorry, but i only have one left. Thanks to everyone who gave input and offered up parts from their stashes, It's great to be part of a community like this. A generous member messaged me with a full set they were willing to part with and we struck a deal just before the weekend. Cheers and keep on drivin'! Great news derek. Thanks for informing us of your success.